We share our expertise through trainings around the world. Here are some of the topics we cover. IRI staff is part of the faculty in the Master’s Program in Climate and Society and teach selected core courses. 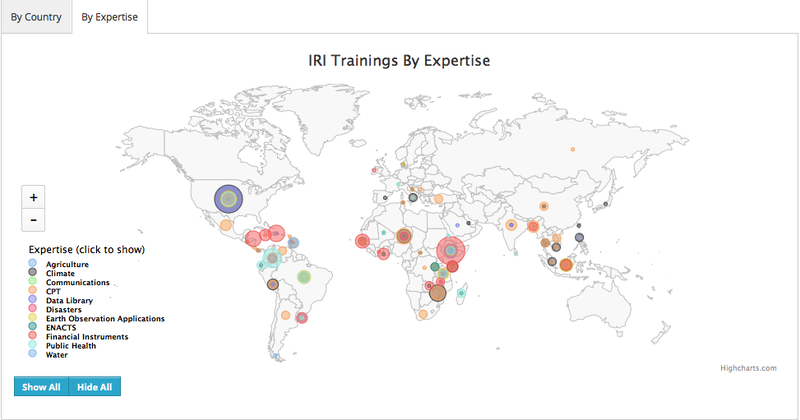 IRI has conducted over 300 training and capacity building events to date. Click here to view our full list of trainings.